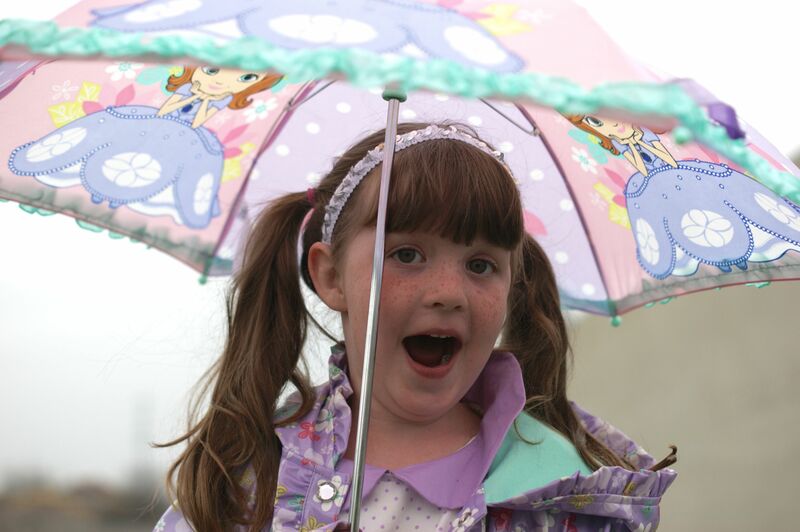 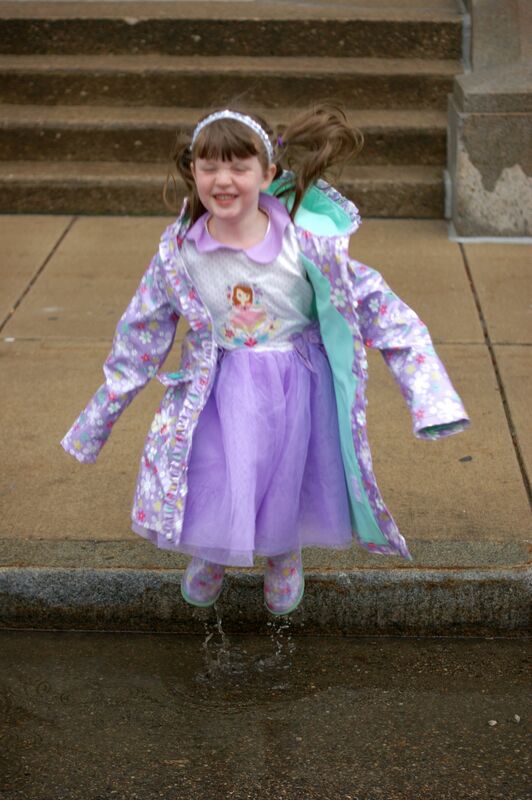 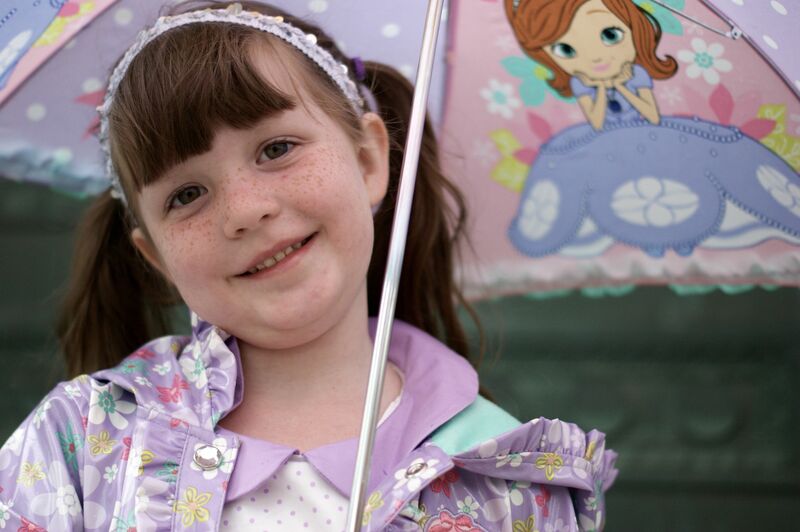 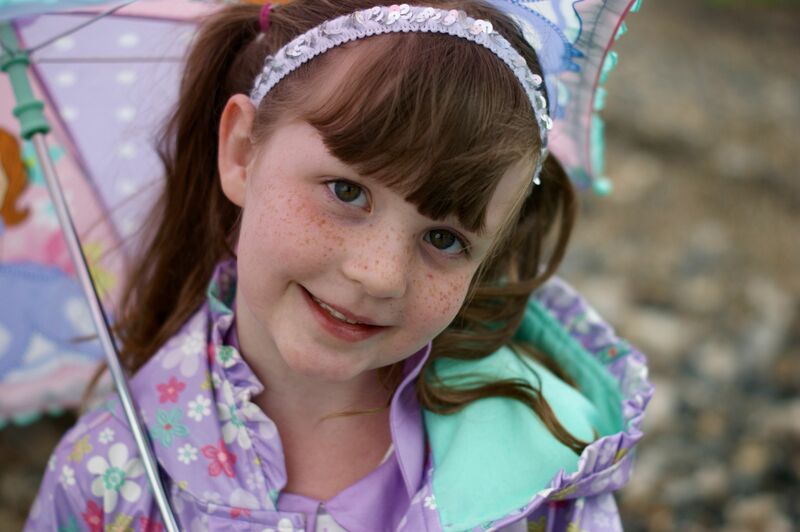 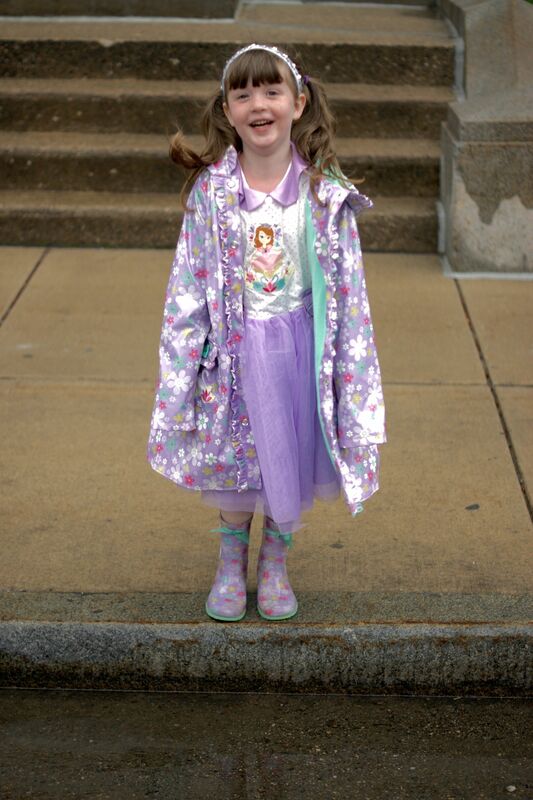 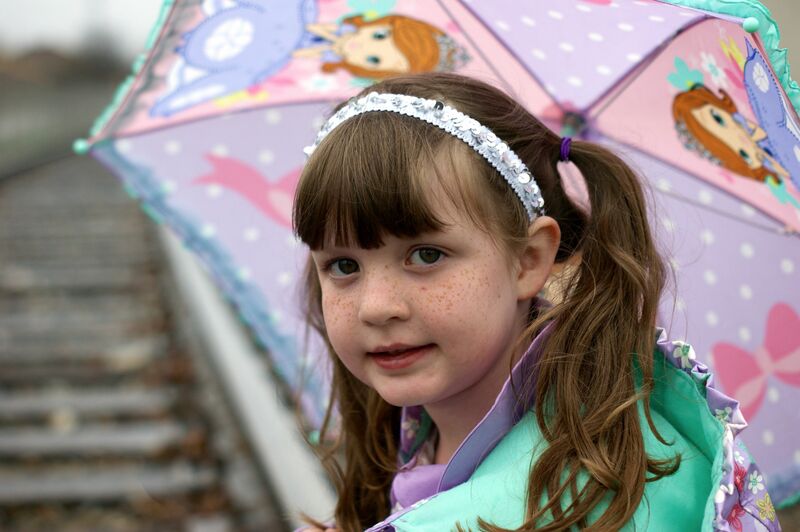 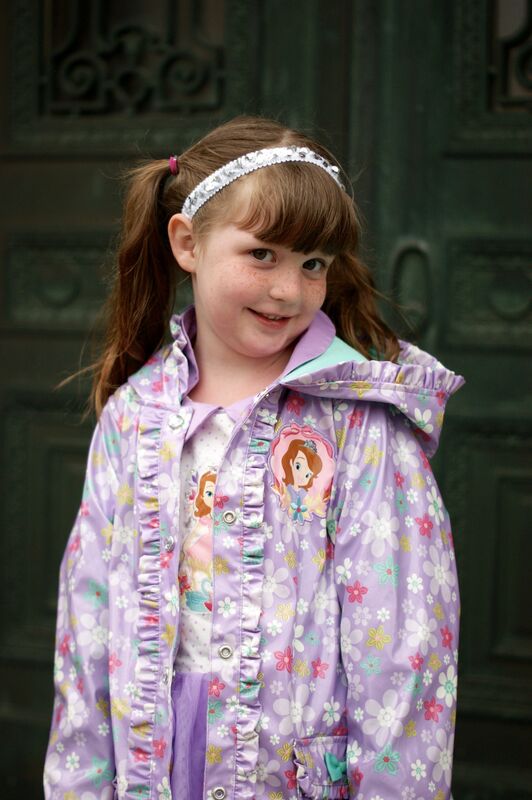 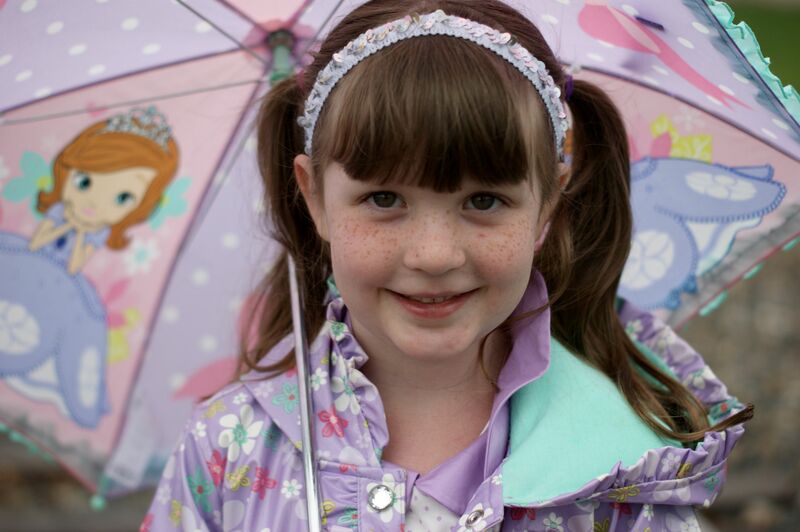 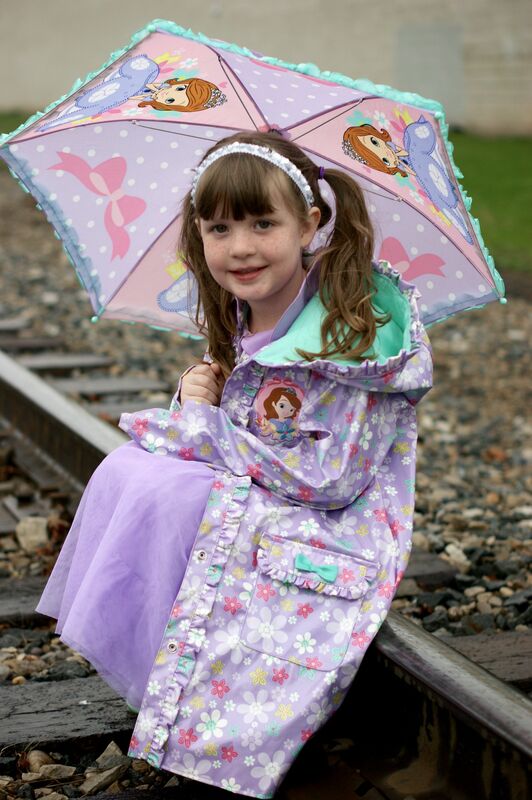 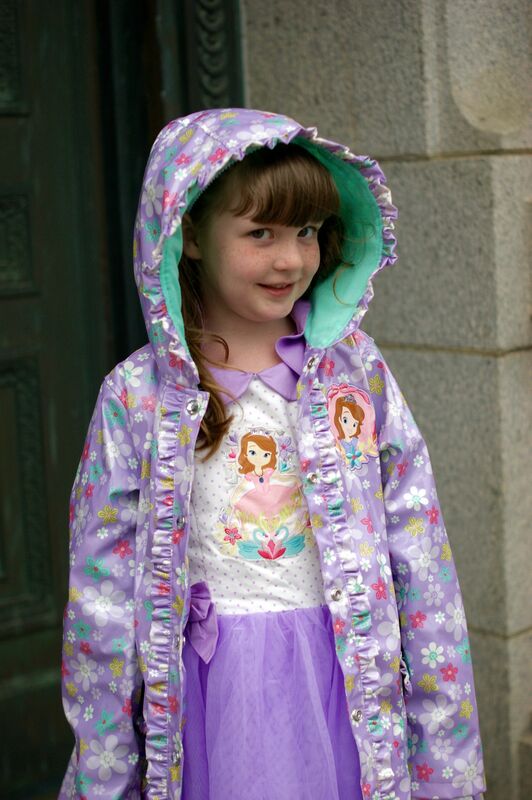 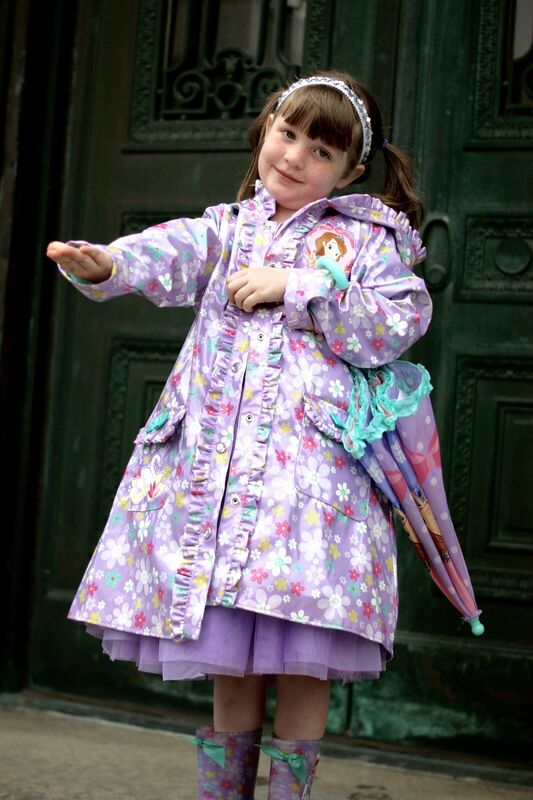 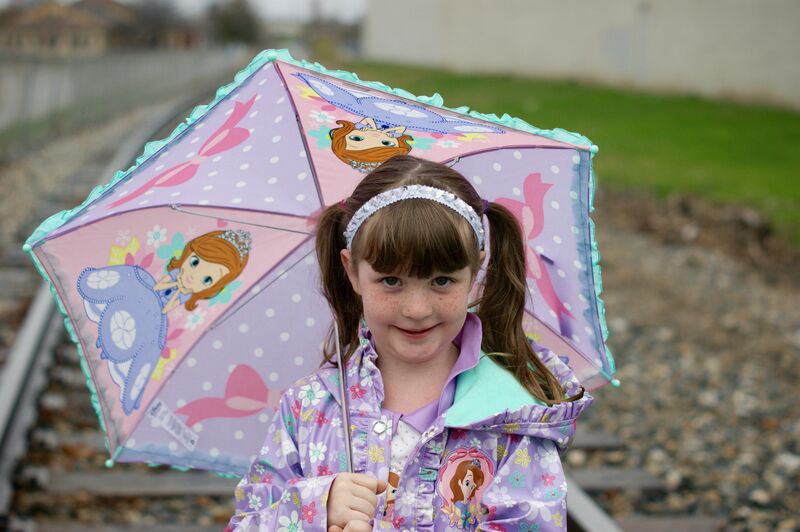 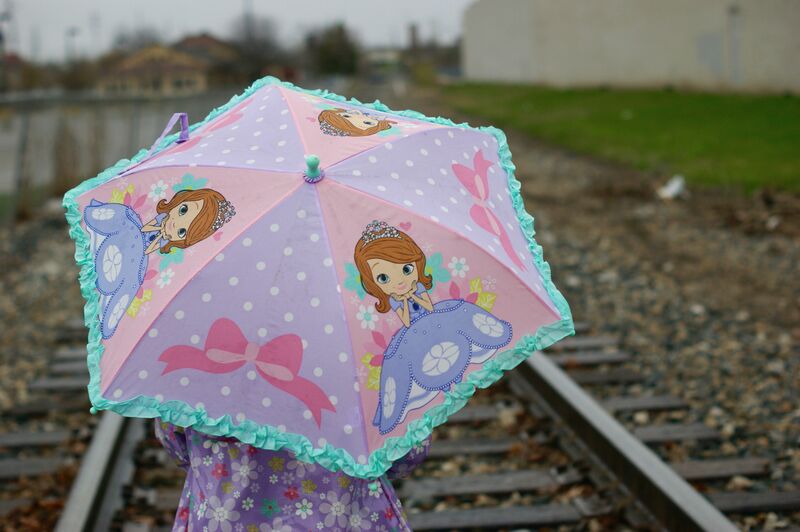 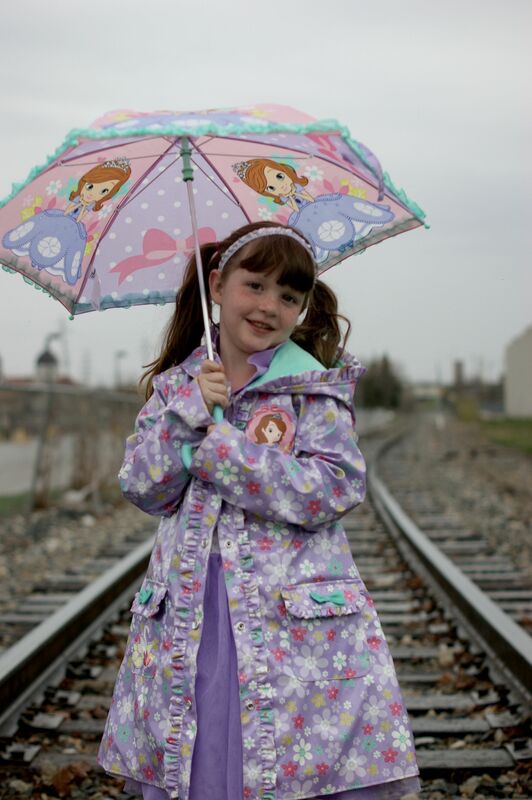 Mackenzie recently acquired some Sofia the First rain gear from the Disney Store. 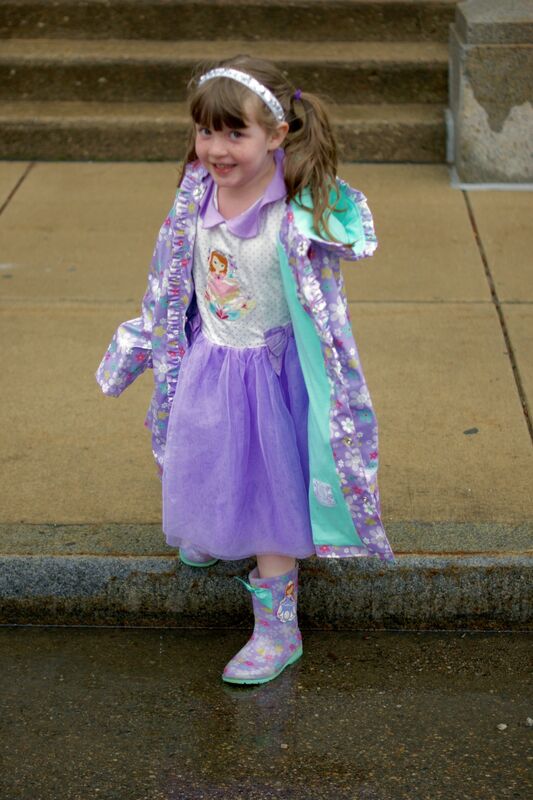 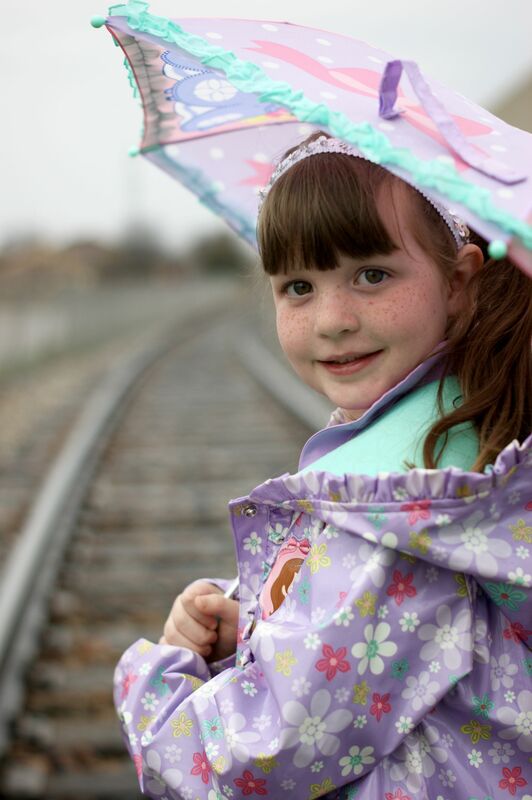 We have been waiting for a good day of rain to test out her new rain coat, rain boots, and umbrella. 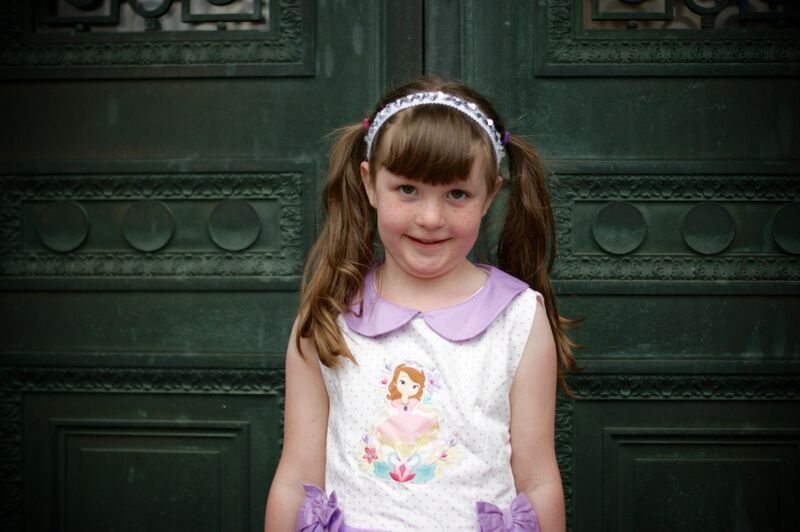 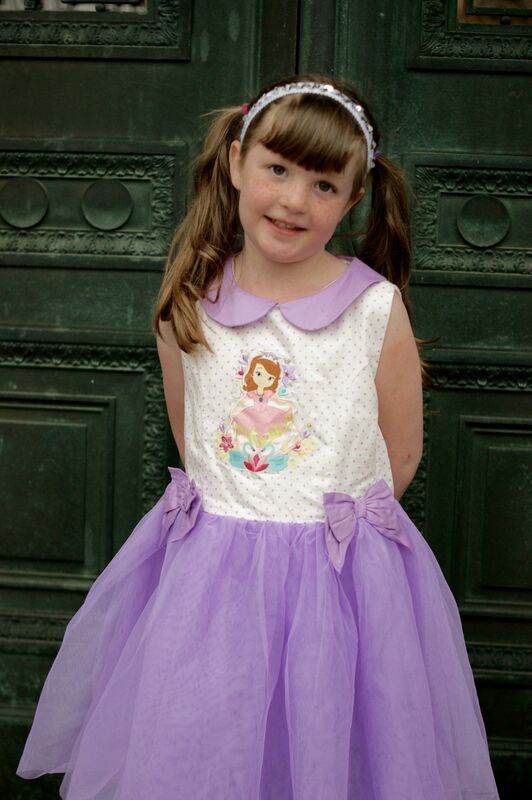 Of course to top it all off, a Sofia the First dress helped complete her ensemble. 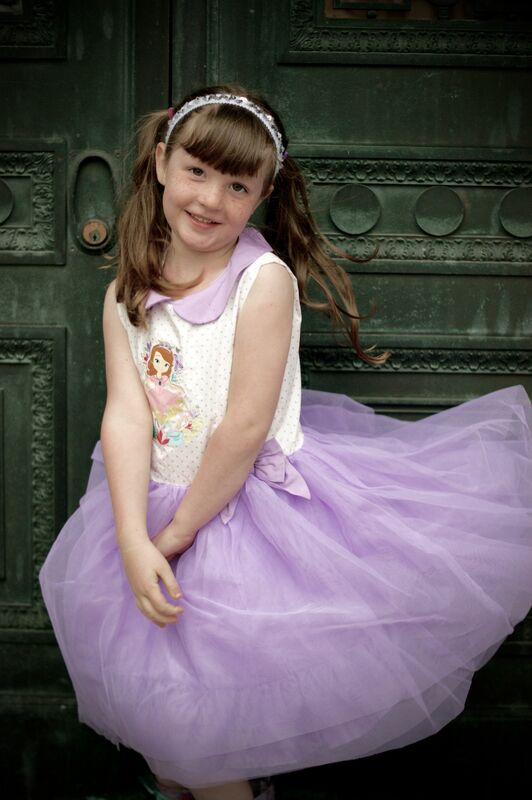 I know I’m biased, but isn’t she the cutest thing ever?